Taking note of the wine’s viscosity, opacity and colour will help you judge the look of the wine better. These observations give you valuable hints about the wine’s approximate age; the varieties of grapes used; the amount of sugar, the amount of alcohol and acidity that is inside the wine; and even the type of climate that the wine was grown. With that said, aged wine tends to become more yellowish or brownish, while red wines are more translucent. Also, you will be able to tell whether the wine has low or high sugar and alcohol content by looking at its wine legs. If you notice a higher density of droplets on the sides of your wine glass, it means there is more alcohol content. If the droplets or tears flow slowly down the sides, it means that the wine is sweeter. In most cases, the aroma that the wine produces will tell you a lot of things about it. For example, you can tell whether or not it was oak-aged by smelling it. This is possible as the alcohol evaporates and certain compounds that are known as stereoisomer will be captured in our noses. There are three groups of aromas to take note of and they include: primary aromas (for identifying grape variety and climate), secondary aromas (comes from the fermentation process) and tertiary aromas (can be used to determine whether the wine is aged in oak or bottle). If you notice a scent of vanilla from your wine, it is most likely aged in oak. 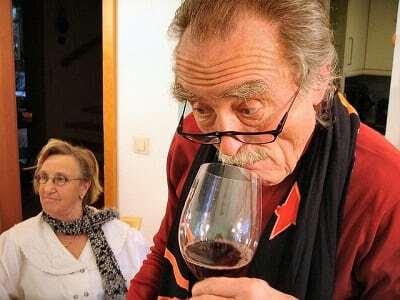 For starters, you should use the front of your tongue to sense sweetness when you are tasting wine. If you notice that there is a tinge of dryness in the wine you taste, it means little sugar is added. Likewise, wines with high acidity do not taste as sweet. Acidity plays a big role in helping you determine which climate was present when the wine grapes were picked. Wines with high acidity usually indicate the use of a cooler climate region. When you taste red wine, you should take note of the characteristic called tannin. It is used to indicate the type of grape, how long it will age and if it was aged in oak. Oak tannins will often taste rounder and smoother, hitting your palate (the centre of your tongue). Grape tannins will taste more green and abrasive. By now, you should be able to get a clearer picture of the wine’s overall profile. If you are curious and want to know more, you can join wine tours in Melbourne. Contact Australian Wine Tour Co. for more information today!